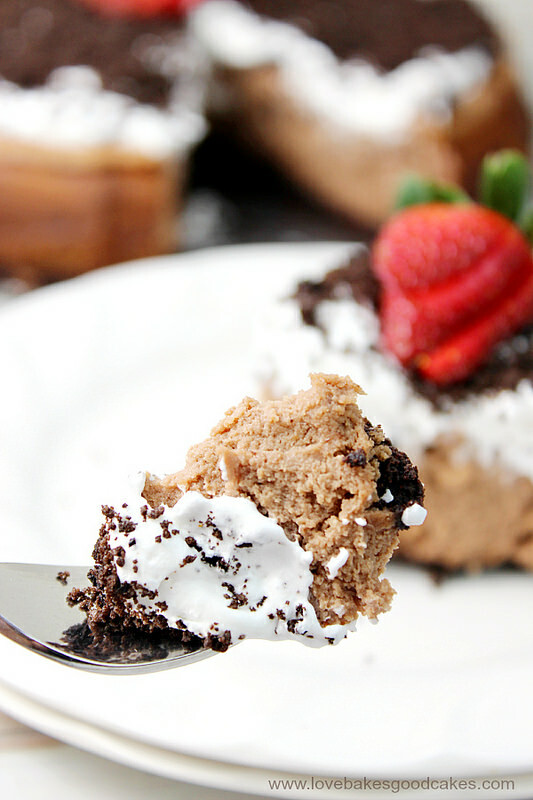 Oreo Chocolate Irish Cream Cheesecake with Irish Cream Whipped Cream is a luscious cheesecake perfect for St. Patrick’s Day or any day! Ok, now that we have the mushy stuff out of the way, let me tell you who I am! 🙂 I’m Jamie and I blog over in my little corner of the internet on a blog called Love Bakes Good Cakes. Although the name may imply I only share cakes, that’s not exactly the truth! 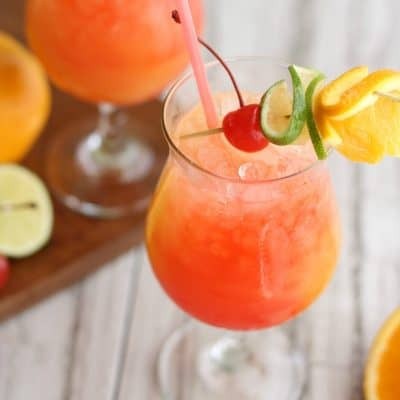 I share lots of family-friendly recipes! 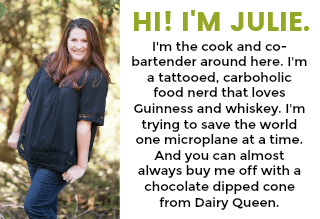 Knowing a little bit about Julie, I kinda wanted to share a recipe I was sure she would love! 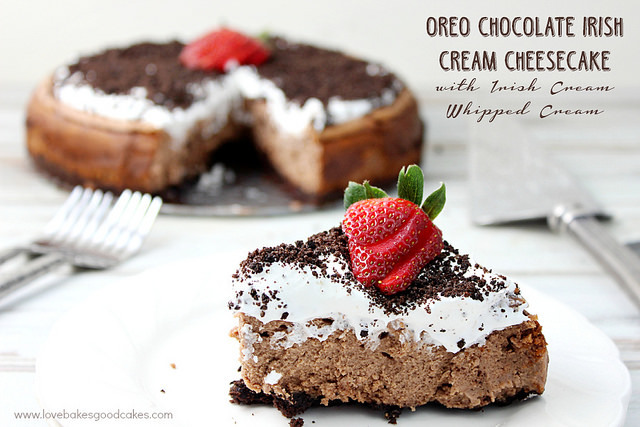 Oreo Chocolate Irish Cream Cheesecake with Irish Cream Whipped Topping anyone?! I know … the name is extremely long. Sorry about that. 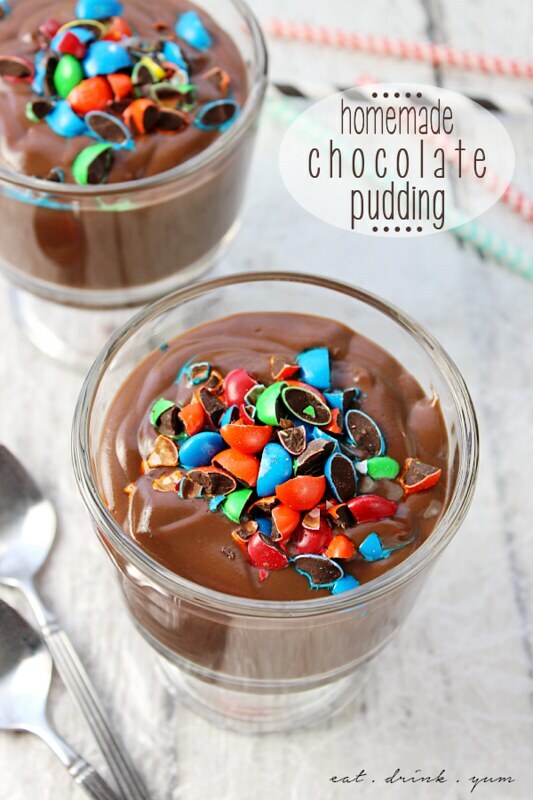 Once you’re stuffing your face with this deliciousness, you won’t even care what it’s called. I know some people are intimidated with cheesecakes …. don’t be! They’re actually pretty easy to make! 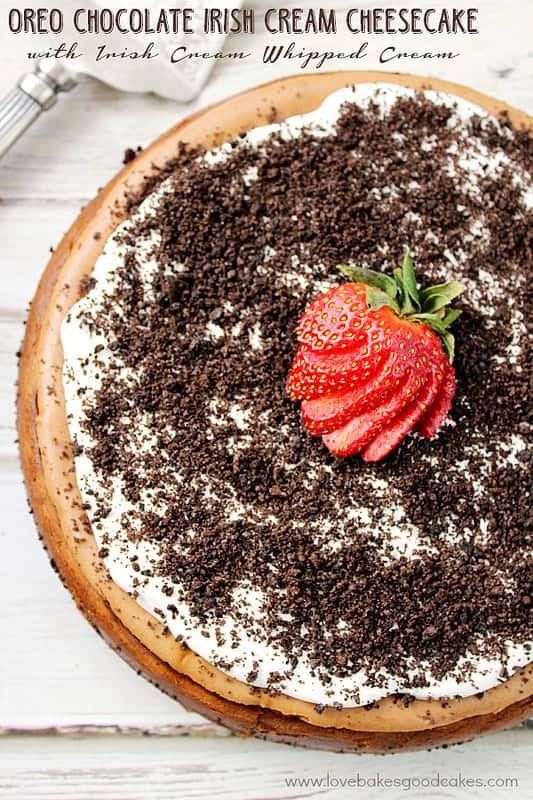 If you worry about your cheesecake cracking (it does happen sometimes) … I’ve got an awesome Irish Cream Whipped Topping to cover the cracks – no one will even notice! 🙂 You’ll look all fancy-pants when you share this dessert and people will think you’re a rock-star baker! 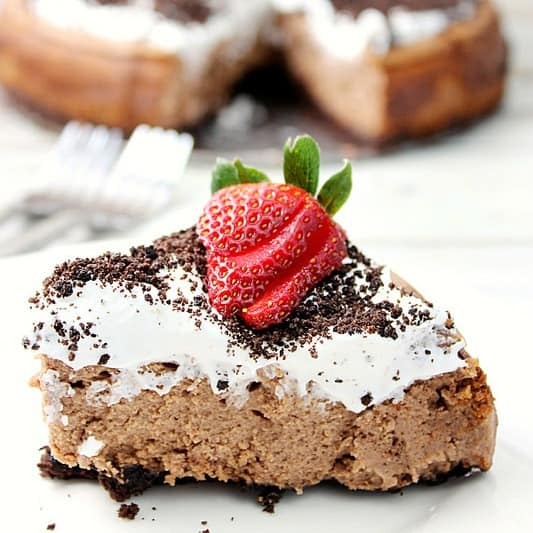 Which, if you make this Oreo Chocolate Irish Cream Cheesecake with Irish Cream Whipped Topping, you kinda will be a rock-star baker. Just sayin’. 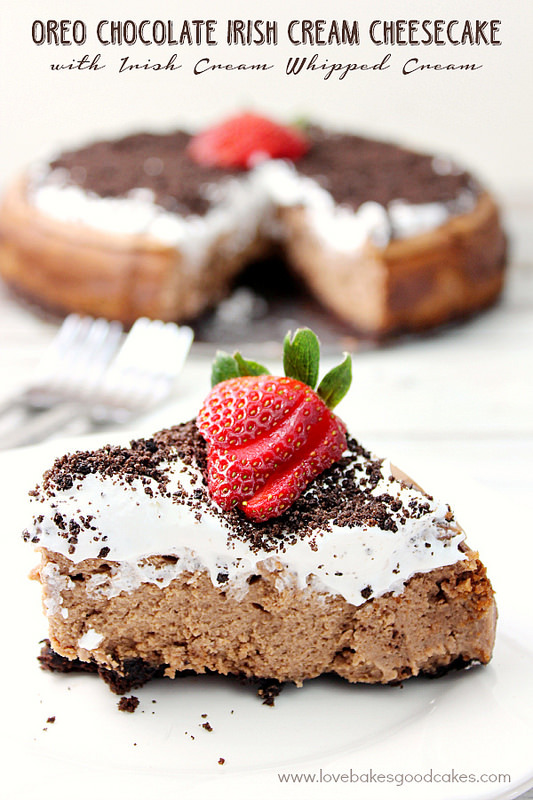 Oreo Chocolate Irish Cream Cheesecake with Irish Cream Whipped Cream is a luscious cheesecake perfect for St. Patrick's Day or any day! In a medium mixing bowl, mix together the cookie crumbs, confectioners' sugar and cocoa powder. Add melted butter and stir until well mixed. Pat into the bottom of a 9-inch springform pan. Bake in preheated oven for 10 minutes. Remove from oven and set aside. 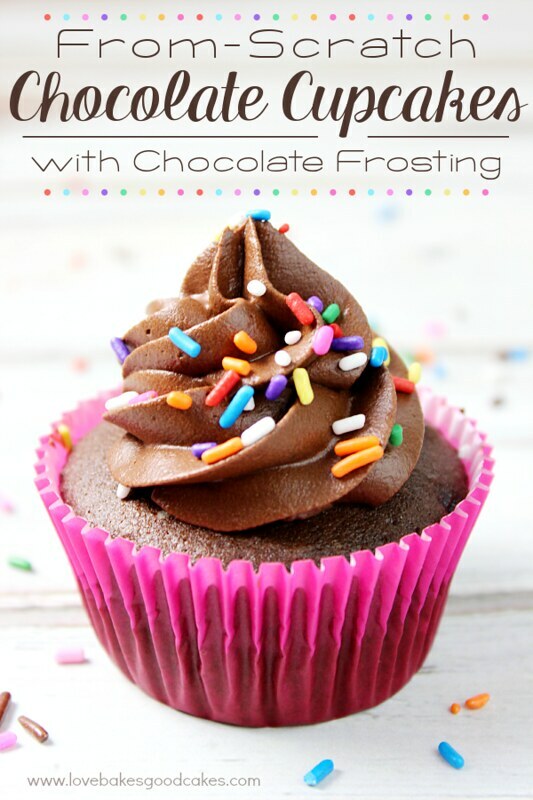 In a large mixing bowl with an electric mixer, combine cream cheese, white sugar, cocoa powder, and flour. Beat at medium speed until well blended and smooth. Add eggs one at a time, mixing well after each addition. Blend in the sour cream and Irish cream liqueur; mixing on low speed just until combined. Pour filling over baked crust. Bake for 60-75 minutes or until the center is almost set. With a knife, carefully loosen cake from rim of pan. Let cool, then remove the rim of pan. Chill. Chill a medium bowl. After the bowl is chilled, beat the whipping cream and sugar in the chilled bowl with an electric mixer on HIGH speed until stiff. Mix in Irish cream liqueur just until combined. Top cooled cheesecake with Irish Cream Whipped Cream. Sprinkle with additional Oreo crumbs. Garnish with a sliced strawberry. Your cheese cake is simply beautiful! I would love a piece with my coffee first thing this morning. What a great idea to add the Irish cream to the whipped cream. this photo is gorgeous and this sounds amazing!